Working over at Jubilee Tower on the top of Moel Famau in North East Wales brings out the oddest ways of keeping warm on such an exposed hill. Waving your hands around as you stride forward seems to be the favourite way and it’s not too distant from the famous Egyptian walk you see heiroglyphed onto the side of their famous pyramids. Which is most appropriate, because Jubilee Tower is built in the rarest of Egyptian styles. The tower has suffered from the vagaries of the weather on such an exposed mountain and had a major collapse in Edwardian times. Now Grosvenor are bringing it back to life and introducing access to help it gain Scheduled Ancient Monument status. 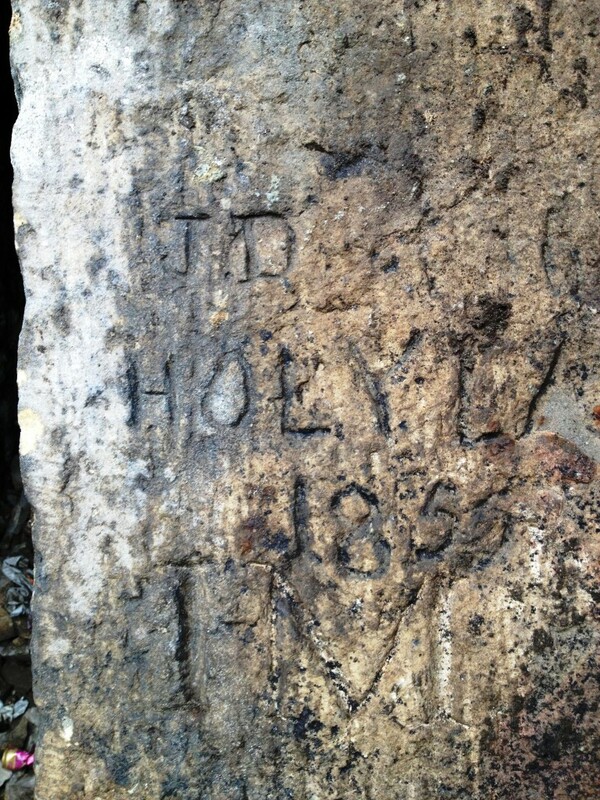 No original hieroglyph’s to be seen here but more intriguing is the Victorian graffiti deeply etched into the stone. 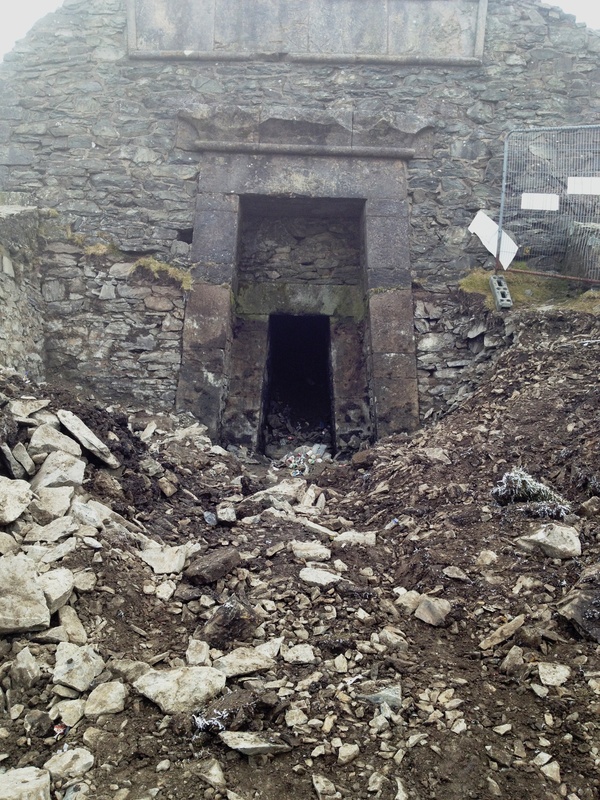 On top of building a carefully crafted stone staircase, Grosvenor are also clearing away the fallen masonry and rubbish to expose the original line of the building.